Keen Senses: Rolls with Advantage when listening and when searching for secret or hidden doors. 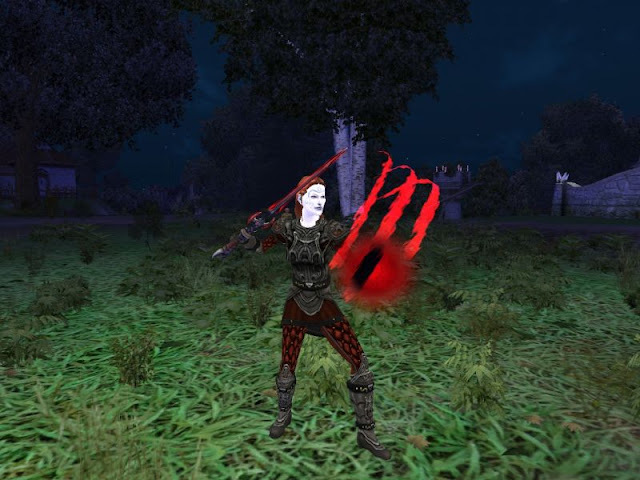 Darkvision: An elf can see in complete darkness (non-magical) out to nearby distance. Nightshades can cast a number of Arcane Spells per day, see the Spell casting section. Nightshades start with a spellbook containing a total of 2 spells from the Level 1 Magic-User Spell lists. Pick 2 attributes and roll twice to see if attributes increase. Nightshades have a slower rate of leveling than the other classes and need one additional game session played before being able to level up. Note: columns are spell slot levels, lines are character levels.